Researchers at the London School of Economics say the music and movie industries have exaggerated the impact of piracy on their bottom line, and that in some cases it might actually help boost revenues. 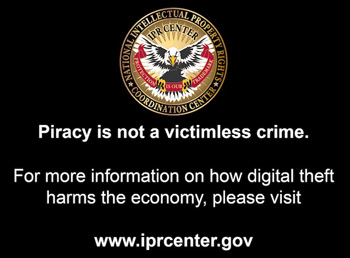 I have always maintained (and always will maintain) that piracy is wrong, if only from a moral standpoint: If you want something, you should be prepared to pay for it - and if you're not willing to pay for it, then do without. But in terms of the actual damage it causes to the music and movie industries, it would appear that it's not quite as "wrong" as it appears. A study by the London School of Economics has found that while some aspects of the movie and music industry are in decline - typically related to "old" methods of distribution - digital models have provided a significant and growing slice of revenues. Overall music industry revenues hit $60 billion in 2011 and in 2012, worldwide music sales actually grew for the first time since 1999. The report says "the drastic decline in revenues warned of by the lobby associations of record labels is not in evidence," and adds that the industry likely would have seen that growth sooner if it hadn't resisted digital expansion for so long. "Contrary to the industry claims, the music industry is not in terminal declineÂ but still holding ground and showing healthy profits," said Bart Cammaerts, senior lecturer in the LSE Department of Media and Communications and author of the study. "Revenues from digital sales, subscription services, streaming and live performances compensate for the decline in revenues from the sale of CDs or records." In the movie industry, DVD sales and rentals declined by about ten percent between 2001 and 2010 but global revenues actually increased by five percent over the same period, while global box office revenues in 2012 hit $35 billion, a six percent increase over 2011. Similar things are happening in the videogame and book industries. "Although revenues from print book sales have declined, this has been offset by increases in sales of e-books, and the rate of growth is not declining despite reports lamenting the 'end of the book'," the report states. The report argues that a "digital culture" that puts a greater value on sharing content than exclusive ownership has led to the development of new models of distribution, like Creative Commons licenses. And in some cases, online sharing of films and music can actually "generate marketing benefits" that increase revenues, noting that a consumer tracking study conducted by U.K. agency Ofcom found that file sharers spent more on content than those who stuck with legal channels.